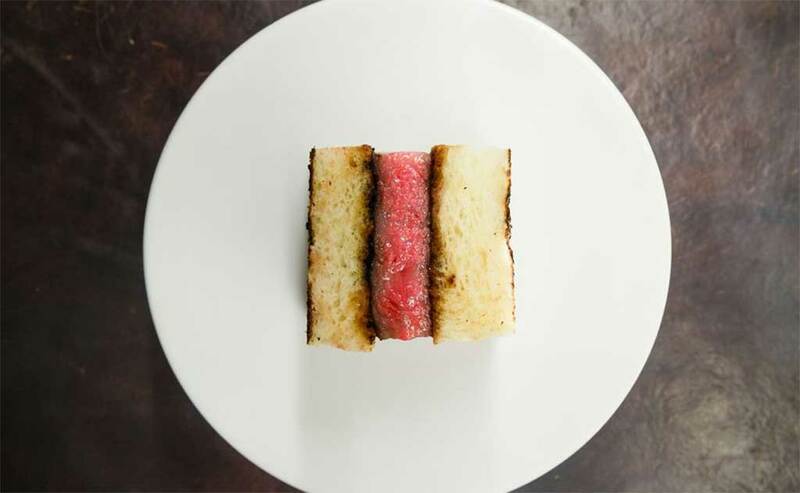 A takeout restaurant dedicated to wagyu katsu sando — an increasingly popular Japanese sandwich where a small piece of luxury beef is served between white bread — is opening in New York City. Don Wagyu is slated to open a tiny shop in FiDi at 28 South William St., near Broad Street, helmed by Japanese cuisine restaurateur Derek Feldman and Samuel Clonts. According to the Times, the new restaurant will open this spring and largely rely on takeout customers. Expect three kinds of sando, one with American washugyu, an A5 Mizayaki wagyu, and a third kind of beef. Cocktails, sake, beer, and a few snacks will also be served. Designer Scott Kester already has the restaurant’s renderings on his site, showing a small bar area and lots of red.